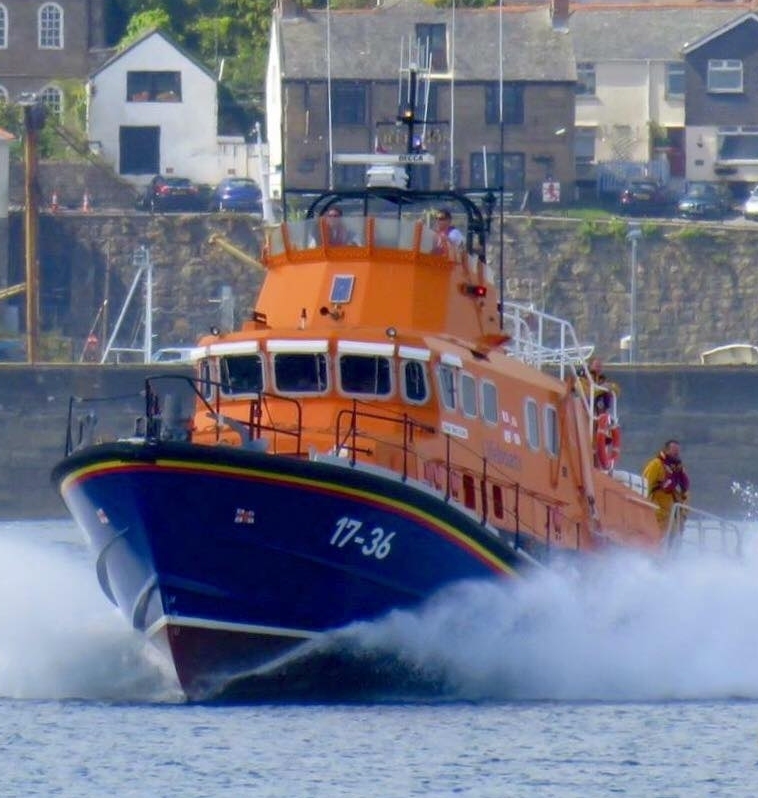 RNLB ON-1265 Ivan Ellen - Severn Class. The Severn has a sheerline that sweeps down for ease of survivor recovery. She is inherently self-righting and should it be knocked over in extreme weather, it will automatically right itself within a few seconds. Her propellers and rudders lie in partial tunnels set into the hull that, along with the two bilge keels, provide excellent protection from damage in shallow water. In addition to her twin engines, the Severn is fitted with a hydraulic-powered bow thruster for improved manoeuvrability. The comprehensive electronics include VHF and MF radios with DSC functionality, VHF direction finder, DGPS with electronic chart system and radar. The Severn carries a small Y boat, which is an inflatable daughter boat complete with a 15hp outboard engine. This small craft can be launched with a crane and is used in moderate conditions to access areas where the lifeboat cannot reach. Comprehensive first aid equipment includes stretchers, oxygen and Entonox. Other equipment includes a portable salvage pump carried in a watertight container. The last Severn class lifeboat was built in 2004. The lifeboats undergo a regular condition-based maintenance regime to check their condition.